WHEN BACK PAIN IS A SORE POINT! WHEN a person gets back pain, it stops all ability to function. Until Back Pain Week ends on 6 September, SunHealth wants you to be aware of the severity of the problem. Registered physiotherapist Pam Watts and Dr Vilash Boodhoo, a chiropractor, said 80% to 85% of people will experience or will have experienced some form of back pain. “Mechanical back pain is when the pain is caused by the muscles, joints and other working parts of the back. This is one of the most common causes of absenteeism from work, second only to the common flu,” said Boodhoo. Research shows that people who suffer from back pain are reduced in their ability to be financially productive. 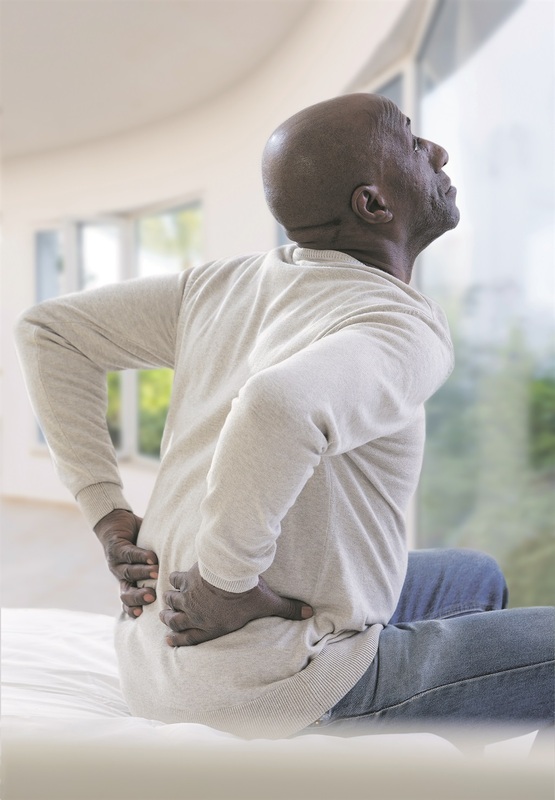 Back pain affects people of any age, for a variety of reasons including injury, activity and some medical conditions. As people get older, so does the chance of them developing back pain. The back is a super complex but very delicate structure of muscles, ligaments, tendons, neurons, disks and bones, which work together to support the body, transmit nerve impulses and allow us to move around. The complexity of the back makes locating the root of its pain difficult. Bad Posture: Slouching for long at a desk causes spinal strain. Another source of bad posture are internet device displays. Lifting heavy objects: People who lift with their backs force the spine to take most of the weight and injure it. Accidents: Collisions and falls cause a high number of painful backs. “Rugby players have a higher risk of back strain compared to office workers. Bad sleeping posture: Sleeping on your stomach or curling into the foetal position can lead to back pain. The cold: Cool conditions and use of climate control air-conditioners can cause muscle spasm in the neck and back. Stress: The link between ongoing stress and the onset of back pain is well known.